Business presentations can be of much importance to any company. In fact they are the most regular feature in the arena of corporate dealings. A presentation is the exhibition of a concrete idea or maybe a collection of ideas that is presented in front of an audience. Often this audience is either an external audience or may be an internal customer. The tip to make an attractive business presentation template can help in this direction. The presentation has to be well structured and an organized one. There has to definite subheads. Each of the subheads has to be allotted to a separate slide. No two points are to be mentioned on a single slide. The writings or the information on the slides has to be crisp and concise. The presenter has to make sure that no long sentences are written on the slides. The font size and the type have to facilitate clear reading. The color in which the font is written has to be dark in case the background is light and vice versa. This will help the audience to read the content matter of the slide clearly. The visual graphics has to be related to the content matter of the slides. 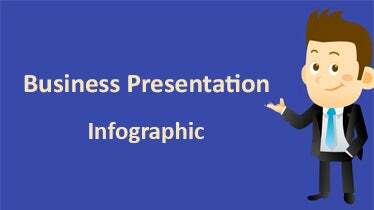 The best way to make the right business presentation templates can be followed by all the professionals who are working in the corporate world and needs to give presentations to different audiences. Making or preparing a presentation is the first step to give a great presentation. The thoughts or the ideas need to be presented clearly. The above points can help in this process.